For decades, S & S Upholstery, Inc. has been the leading name in fine upholstery for furniture, automobiles, boats and more. Located in Colorado, we handle everything from new upholstery to refinishing antiques to custom furniture designs and much more. Since 1984, S & S Upholstery, Inc. has been proud to serve as the number one location for upholstery in Longmont, CO. While other retailers have come and gone and many shops have moved their entire business online, we have stayed consistent and continued to command unrivaled customer satisfaction and loyalty. 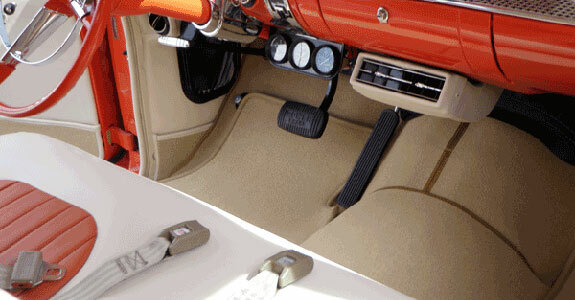 The reason is simple: we provide the highest quality in upholstery for furniture, automobiles, boats, planes and more. Choose from a wide range of colors and styles to fit your style. Our inventory of upholstery fabric in Longmont, CO, is both attractive and durable, ensuring you will enjoy years of use. We provide upholstery services for furniture, cars, boats and more. We offer antique restoration services. We customize all of our services to your unique style and budget. We have been in business for decades.